There’s nothing like the feel of leather upholstery for the ultimate in motoring luxury. So why should grown-ups get all the lux? Presenting InfaSecure’s new Luxi Vogue child car restraint. Launched just this week, the Luxi Vogue is lux by name and by nature, thanks to a swell combination of leatherette and microfibre suede. The leather-like styling (yes, it’s wipe-clean, let’s all cheer!) is used around the outside of the restraint, while the plush suede is used in all the spots where your child’s skin makes contact with the seat. Together, it makes for one classy and rather comfortable ride for your kid. Now for the official specs from InfaSecure. This seat starts as a rear-facing restrain for infants and then transitions as they grow, first to a forward facing restraint and then a booster. 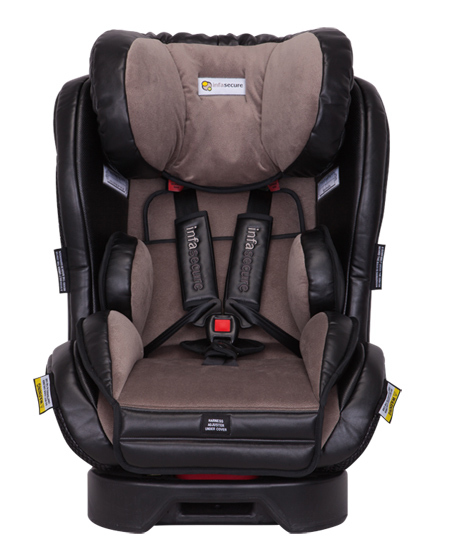 It comes with ergonomic head and lumbar supports for infants and has nine recline positions. And of course it goes without saying that it’s just as safe as all the other restraints in the InfaSecure stable. 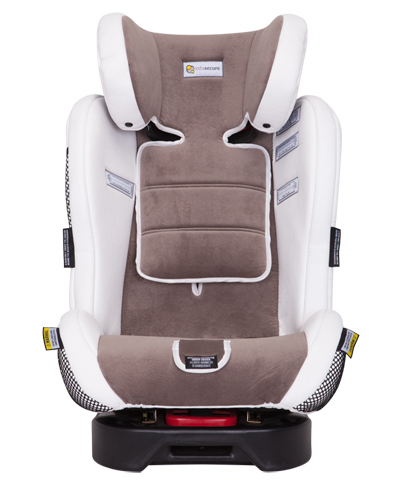 In fact, we should probably mention that the Luxi Vogue is an updated version of the Luxi Crown, rated Australia’s top rearward facing child restraint in official government-recognised CREP tests. 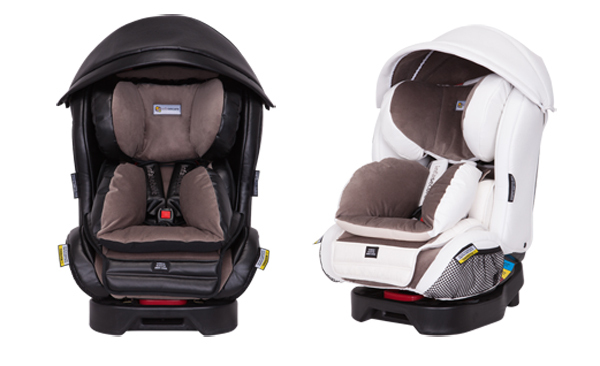 The Luxi Vogue comes in two colours – Onyx (top, shown in its forward facing position) or Ivory (below in booster guise) and is suitable from birth up until about eight years old. It retails for $499.99 and can be preordered from Bubs Baby Shops for delivery later this month. Queenslanders can also find it at this month’s Brisbane Pregnancy, Babies and Children’s Expo. You can find details on other InfaSecure child car restraints, including their pretty-in-pink Caprice, in our post archives.